Compensation planning is one of the best HR practices that encourages use of different pay benefits to attract, recruit and retain best talent. Employers look up to Compensation Management as a powerful way to reward high performing employees for successfully achieving their goals. unfortunately, not all organizations are good at managing and implementing compensation plans. When an organization’s goals aren’t aligned with its compensation plan, it becomes challenging to execute employee compensation programs seamlessly. Having an inefficient compensation plan in an organization might decrease employees’ morale and increase employee turnover. Most managers and HR professionals need guidance to make right compensation planning decisions. Presence of a pre-defined compensation structure provides equality in employee’s. In the presence of a well-structured compensation procedure, managers can make right hiring decisions, pay adjustments and performance increases accurately. 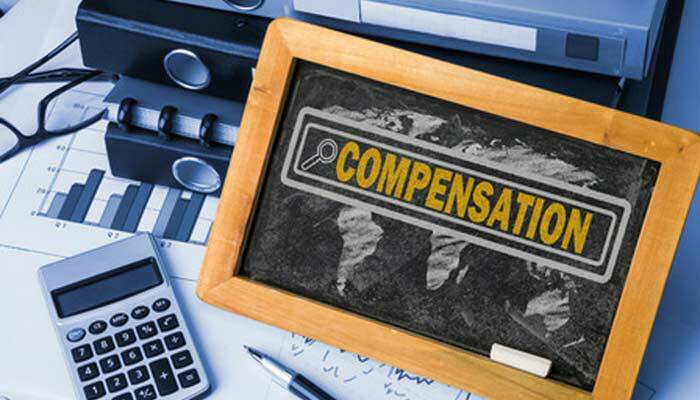 It could be easier for an employer to design and implement one type of standard compensation program for all type of employees. But, unfortunately, doing so may create more problems and dissatisfaction among employees due to unfair compensation. HR and managers need to understand every employee role where there’s a need to implement compensation programs. What is the compensation approval procedure? Who are the stakeholders in compensation planning? Are they reviewing each compensation decision fairly? In a pay-for-performance system, employees with exceptional performance are eligible to receive a salary raise or compensation benefits. A company following ineffective performance appraisal plan is unable to find the true performers and would result giving incentives to too many underserving employees. HR people should implement well-designed compensation strategy to effectively and fairly link performance with compensation. Having too many people involved in making compensation decisions can be a wrong approach. It is wiser to have a clear understanding of company budgets. In absence of fixed compensation budget, managers and HR may not be able to take right incentive decisions. It is always wiser to make compensation decisions on a fixed budget because tracking budgets give a clear view of how and where the company capital is spent unwisely. Believe it or not, these shortcomings still exist in many small and large organizations. Just as HR technology has altered the way managers and human resource professionals work, it is also rapidly transforming the way employers compensate their employees. These days, many employers believe to have flexible compensation management system to analyze effectiveness of their compensation plans. Want to know how? Read on. How to Choose a Perfect Cloud-based Compensation Management System? One should remember few important points listed here, before choosing a cloud-based compensation software. A reliable compensation management tool easily synchronizes increment cycle to give timely compensation benefits (salaries and bonuses) to employees. Ease-of-use is the main feature of an online compensation system that can keep a fair watch at all the compensation checks and balances without making life of an HR difficult. An automated compensation system should be able to meet current and future needs of an organization. It should easily adopt changes in pay adjustments, increment cycles, etc. A highly functional compensation management system, like Empxtrack, streamlines and automates the complete compensation procedure in the easiest of ways. Basically, it simplifies the process for managers, employees and HR. Buying a compensation system which can link to other HR tools, such as performance appraisal and payroll, is the best thing. Using an effective compensation system, one should be able to define multiple compensation strategies to establish different pay-for-performance plans for various group of employees. In the past two decades, HR technology has bestowed human resource professionals with immense power and ability to have more influence on business operations. Many organizations are taking advantage of HR technology to compensate their employees fairly. If you’re not using a compensation planning tool or tired of using an ineffective clunky pay-for-performance system, try Empxtrack compensation management system, before you miss the chance to reward your top performers.